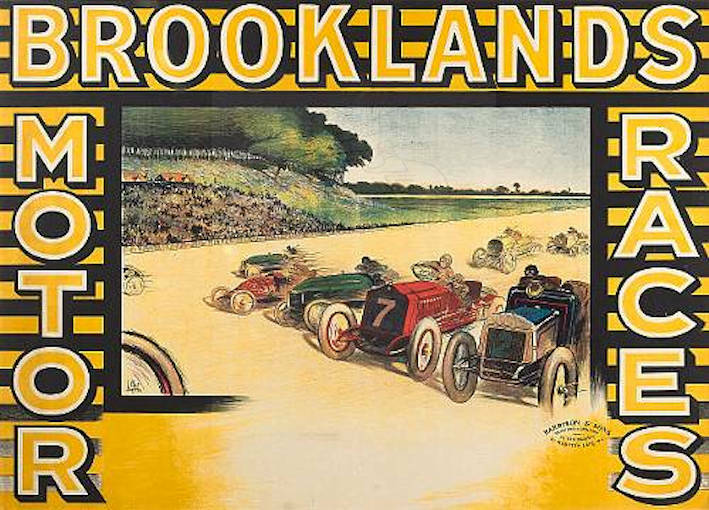 Designed first Brooklands poster in 1907. See lot 478 in Bonhams sale 6th December 2004. Image is signed and dated London 1907. Was he a staff artist with Harrison & Sons whose handstamp is on the poster? The image was also used for early programme covers. Supposedly a French artist best known for his horse racing scenes.